The kids spilled sparkles on the carpet years before we invested in our Beam system. I thought that our vacuum at the time did a thorough job....clearly not! Our Beam sucked those deep sparkles up from years ago with ease! 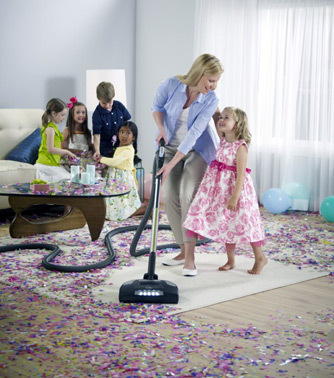 Beam Electrolux Central Vacuum Systems.